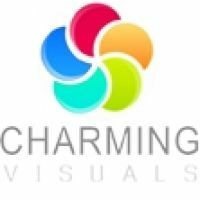 Additional Info: Charming Visuals - Professional business photography and video filming service provider based in Mainland China. Fees: To provide best quality photography, we use Canon Mark IV for Sports events and Canon 5D Mark II for normal business events, portraits, performances, conferences, etc..
$500 for half day event, including Canon 5D Mark II DSLR camera and professional lenses, all the original photos and final editing send to client asap (within 5 hours). We have professional broadcast video cameras, advanced editing room and high-level video footages editing skills, we are capable to design and make interactive multimedia optical disks. Clients can choose how many video cameras needed and how to edit.